~ 1986 to be exact ~ Tim and Judy decided to go down to the local animal shelter to help out with an adoption event. Throughout the day, Tim worked and worked to try to get someone to adopt an Old English Sheepdog that had caught his eye. Sadly, at the end of the day, that sheepdog still sat there, unloved and alone. When Judy ventured to say that she’d like to adopt a doberman she’d seen, Tim said no, they were taking the sheepdog. You see, he knew that, because it was older, it would soon be euthanized. 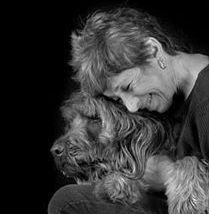 Well, that dog lived another 8 years, and Judy’s involvement in animal rescue grew into passion and eventually an organization…. Pet Rescue By Judy is a non-profit 501(c)(3) organization dedicated to the rescue of cats and dogs. Many of them come to us with medical needs. They are doctored to the best of our ability and resources.